We are excited to announce that we have moved locations! We have closed our doors at our old location and have moved to our new space, located at 1800 Airport Way, Fairbanks, AK 99701. 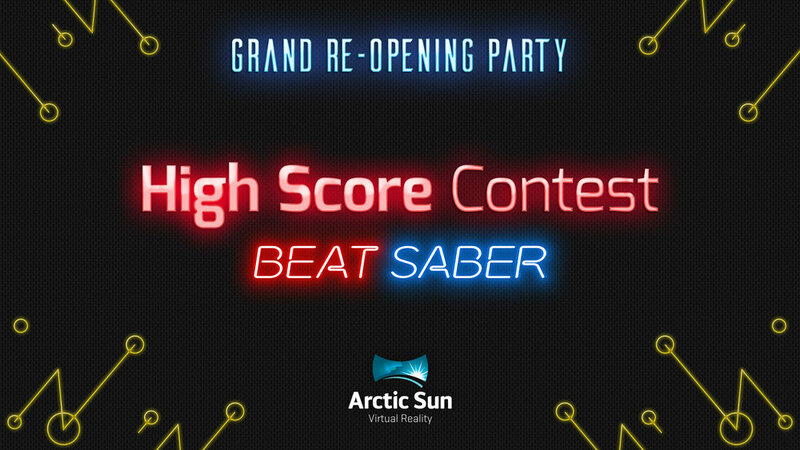 Our Grand Re-Opening will be on February 15th! 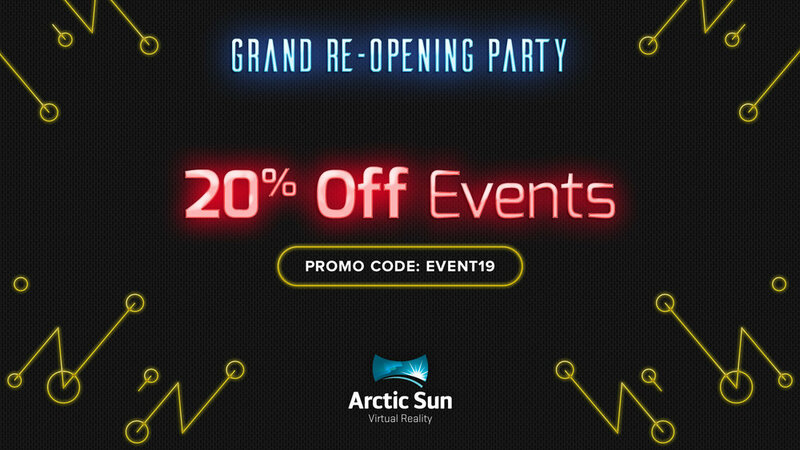 Deals and promos in honor of Arctic Sun VR’s Grand Re-Opening! Deals running through March 16th, 2019. *Guest must come in to purchase gift cards. Gift card total must be at least $200 (before discount). To celebrate, we wanted to showcase some of our favorite content. Some are customer favorites, some are staff favorites, and some you just have to experience the awesome to believe it! Check them out below. To get updates on our grand re-opening dates, deals, and other VR Arcade information, subscribe below!